Our Client is a Joint Venture Company Branches all over South India. Their activities are Design, Manufacturing, Installation and Maintenance of Elevators. · Receive the incoming materials at inspection area & preparation of GRIN. · Compiling bills, delivery Challan & GRIN and sending the same to finance for payments. · Keep the materials in place and enter in to the bin card. · To receive the material Requisition & to issue the quantity for production. · Entering the issued data in the bin card and system. · By accepting FGRN & entering in to stock (system). · Periodic housekeeping of stores. · Frequent inspection to avoid vertical storing. · Maintaining storage racks with their load bearing capacity painted. · To inform the purchase dept about the rejection materials. · To monitor safe loading & unloading of materials inside the stores. · Marinating separate ledger for tools & PPE items. · Raising requisitions for ATM Materials. · Follow up of MRM & BRANCH STOCK Requisitions. · Entering the dispatch materials by the delivery Challan in the system for materials outward. · Maintaining stock register for the stock lying at vendors place. · Preparing reports regarding value purchase & value of issues. · Preparation of stock statement. · Monitoring pending purchase orders & to inform purchase dept. Any Graduate or Diploma in Engineering. Knowledge in MS Office (Word, Excel, etc.,) is necessary. Minimum of 2 or 3 years experience in the similar field. 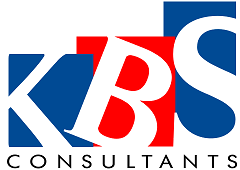 KBS Consultants deliver successful placements through policies of personalized service and confidentiality, coupled with the most ethical, professional standards in the recruiting industry. Our consultants working with clients in various industries in order to provide the best possible people for job positions. Our range of clients include multi-national corporations, to mid-size public and privately owned businesses, entrepreneurial start-ups and non-profits.